Marcel Desailly is a finalist in the race for the post of chief coach of the Vietnam national football squad, says President of the National Coaching Council, Mr. Nguyen Sy Hien. Desailly, a renowned defender, joined with such illustrious names as Zidane, Deschamps , Blanc, Petit and Thuram to win the 1998 FIFA World Cup and Euro 2000 Cup. Additionally, in his career, the Ghana-born player was also the champion of the Champions League, in the jerseys of Marseille and AC Milan in 1993 and 1994. 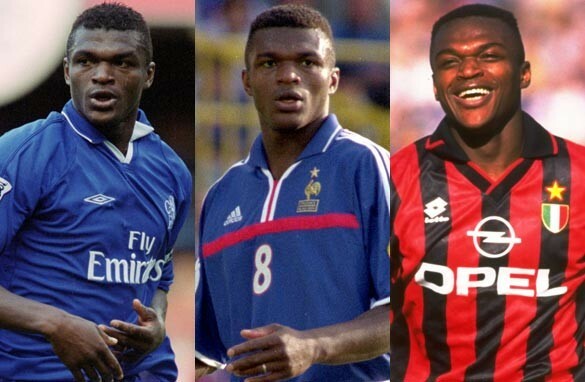 Despite his successful career as a player, Desailly has never been a coach. He has just received a coaching certificate recently buy lost in his bid to lead Malaysia’s national team. In his contention for the post of chief coach of the Vietnam national team, the former French footballer is competing with experienced candidates, including Rajagopal, who helped the U23 Malaysia team defeat U23 Vietnam to win the SEA Games gold medal in 2009 in Laos, and to win AFF Cup 2010. A list of six candidates has been sent to the National Coaching Council, which is responsible for assessing the qualifications of candidates and advising the Vietnam Football Federation (VFF) in its final decision. VFF Chairman Le Hung Dung says the name of the new coach will be announced in May. It is said that the VFF wants to have a Japanese coach.